Your teeth are designed to last for a lifetime with the right oral hygiene habits and regular care from your dentist. Unfortunately, even with the most proactive approach, your teeth can still be damaged by decay or trauma. In the past, rebuilding your smile involved the use of metal restorations. Although they are durable and effective, they can cause you to feel insecure about your appearance because they are very noticeable. Now, you can enjoy natural-looking results with metal-free restorations in Oklahoma City. Dr. Don Swearingen offers the solutions you need to restore a healthy, beautiful smile. Tooth decay has been treated for decades using amalgam fillings. They are made from a combination of metals, including mercury. Although they are an affordable solution, they also come with certain disadvantages. Not only are they highly visible, but they can also cause your tooth to darken over time. Not to mention, there is a concern regarding long-term mercury exposure. You can enjoy a more biocompatible and natural-looking option with tooth-colored fillings. Also known as composite fillings, they do not contain any mercury. In fact, they are completely metal-free. They are made from a mixture of glass and plastic particles, which allows them to be customized to match the appearance of your enamel. Your filling blends in seamlessly with your natural teeth while also improving its integrity. 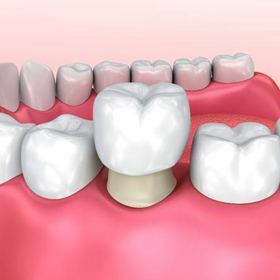 Composite fillings do not require wedges to be cut into your tooth to support them. As a result, more of your healthy tooth remains intact. Crowns hold a commonplace in restorative dentistry to save a compromised tooth. Now, they are also used in restorative dentistry because they can be customized to look like a natural tooth. You can improve the health, function, and appearance of a tooth using all-ceramic material. 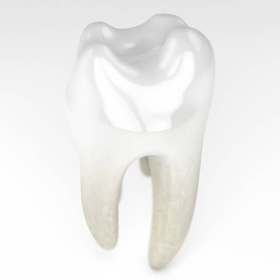 A crown is a custom-made cap placed over a tooth’s surface down to the gum line. 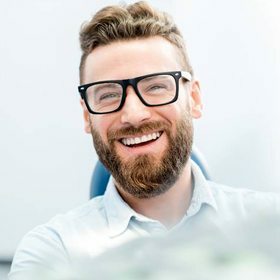 They are used to repair teeth that have large decay, breaks, or fractures; however, they can also hide dark tooth discoloration or improve the shape of a tooth. After your tooth is reshaped, Dr. Swearingen takes a digital impression of your tooth to get the specifics to create your restoration. He specifies the color needed to match your enamel color before sending the impression to the dental lab. The lab creates your crown with accuracy to ensure it meets your exact needs. While you wait for it to be ready, a temporary crown is placed over your tooth. In a couple of weeks, you return to our office to have your final one bonded in place. Although your crown is made from ceramic, rest assured it is durable. It can last for an average of 10 years before needing to be replaced if you care for it properly. If you have damaged teeth, choose metal-free treatments with the help of your cosmetic dentist in Oklahoma City. Dr. Swearingen will rebuild your smile using the latest advancements in dentistry. Contact our office today to schedule your consultation for a beautiful, healthy smile.